Highlight: AirAsiaIndia to receive AirAsia Japan’s aircraft; First aircraft expected in a few days, in India, for proving flights; Air Operator Certificate to be awarded soon; AirAsia Japan: The cause for its failure and why AirAsia India may not follow the same downpath. On the 21st of July, 2011, 2 years and 3 months ago, ANA Group, Japan’s largest airline, and AirAsia, the world’s best low cost airline, announced that they were teaming up to form AirAsia Japan, a new low-cost carrier. ANA was, for a while, seeking opportunities to launch a new low-cost business based at Narita. The Japanese are known to enjoy the finer, more expensive things in life, and to offer the population a new product: low cost, no frills air travel, while still managing to draw the crowds wasn’t, singlehandedly, going to be an easy thing to do. After much study, ANA concluded that partnering with an existing low-cost carrier was the most efficient, strategically advantageous option. With the Air-Asia partnership, and success almost guaranteed, the joint venture established Air Asia Japan Co. Ltd. in the August of 2011, with ANA holding 51% and AirAsia 49% of the capital. However, Air-Asia’s voting right share was only 33%. The schedule was to apply for the Air Operator’s permit in September-October of the same year, with the first flight planned for the August of 2012, almost a year after applying for the AOC, also known as the AOP (Permit). In June 2012, the airline took delivery of its first new A320: MSN 5153, followed by another new A320 in July. True to its word, the airline commenced operations on the 1st of August, 2012. 3 more new A320s followed over the next few months, of which 2 are equipped with fuel-saving Sharklets. 11 months after starting operations, Air Asia called off the joint venture, and ANA acquired AirAsia’s entire stake in Air Asia Japan for 2.45 billion yen. AirAsia Japan booked an operating loss of about US$ 36 Million, for the financial year ending March 2013. This was a shock for Air Asia, as quoting Tony Fernandes, CEO of AirAsia Berhad, “All our other affiliates have made money”. The other affiliates are Indonesia AirAsia, Philippines AirAsia, and Thai AirAsia. AirAsia had a meek voice in the joint-venture, with only 33% voting share, with the decision making power in the hands of a full-service, world class yet inefficient airline: ANA. Two other low cost carriers (LCC) that kicked off in 2012 are Peach and Jetstar Japan, both of which are run by the larger voice of partner airlines that have been solely in the LCC Business. AirAsia couldn’t implement the strategies that have proved successful in other JVs. This resulted in load factors not more than 70%, and as low as 56% in April 2013. Japanese aviation is known for its sky-high landing fees and fuel taxes, and this would have only resulted in Break Even Load Factors (BELF) that are high, making AirAsia Japan bleed with its poor load factors. One of AirAsia’s key strategies is the large reliance on online bookings. This was a sudden change in the way in which an airline works in Japan, contrasting the population’s familiarity and comfort with booking through agents. This was a contributory reason for the airline’s poor acceptance. Complicating the matter was an online booking system that wasn’t completely translated to Japanese. In January 2013, to control damage, the airline introduced “Other Payment options available for flights departing from Japan”. “It means that you can make payment via selected Convenience Store, ATM and Internet Banking.” Such flexible options aren’t available in all countries. The problems with partnering with a Full Service Carrier (FSC) was evident. For example, ANA needed the cabin door to be opened by an engineer, and not by a cabin crew member. This, like other practices only added to costs. Both the partners squabbled over the airline’s strategy: running a LCC in a non- low-cost mode. AirAsia Japan, although now without AirAsia involved, is operating under the Airasia Japan brand, but only till the 26th of October, 2013. 1st November onward, the airline, rebranded as Vanilla Air, will take flight with Airbus A320s from ANA. AirAsia’s A320s will be returned to AirAsia. Of the 5 Airbus A320s received by AirAsia Japan, one has been sent to Air Asia Indonesia. Of the remaining 4 new Airbus A320s, two will make their way to AirAsia India, probably MSN 5547 and MSN 5657, the ones with the Sharklets, a necessity for operations in a country with very high fuel prices. AirAsia Japan possibly suffered from a de-focused Tony, who had too much in his hand, in the light of massive A320 orders and the launch of Air Asia Philippines, which commenced operations in March 2012. While one of the failures for AirAsia Japan was the high fuel prices, it does not mean that AirAsia India will walk down the failed joint-venture’s path. AirAsia India is a three-member JV in which AirAsia holds 49% stake, Tata Sons hold 30% and Arun Bhatia holds the remaining 21% stake. This gives Tony and his team the much needed voice for the success of his airline, which, after his AirAsia Japan experience, is something he will not compromise on. Even more essential for success is the co-operation required by partners to fall in line with most of AirAsia’s proven strategies, as demonstrated by its other profit making AirAsia joint ventures. Tweeted Tony, in late September 2013,“First AirAsia India board meeting. Superb cooperation between partners.”. Not having an airline in the joint venture will mean that AirAsia can pretty much run the show in the way it deems best. Another lesson learnt is the limited distribution system that had impacted Air Asia’s performance. AirAsia has spent considerable effort with online and offline travel agents throughout India. Although the country is not new to website bookings, having ticketing agents boosts sales, roping the otherwise tech-shy or tech-challenged traveller. The DGCA (India) Air Operator Certification Manual, CAP3100 Revision 0 August 2013 stipulates that during the demonstration and inspection phase prior to certification (Air Operator Certificate), “the applicant needs to demonstrate to the DGCA that the applicant is in a position to conduct the proposed operations in accordance with the procedures detailed in the documents/manuals reviewed during the previous phase utilizing the personnel/facilities/equipment identified in the formal application.” If the DGCA is satisfied with the airline’s personnel, staff, equipment and arrangements, “proving flight(s) will be conducted to one or more destinations of intended operations, as determined by the DGCA.”. A proving flight is a flight, for demonstration purposes to the authority, and must be treated as a scheduled flight and conducted in a manner similar to a revenue flight, with full services and personnel in accordance with the procedures spelt out in the airline’s Operations Manual. 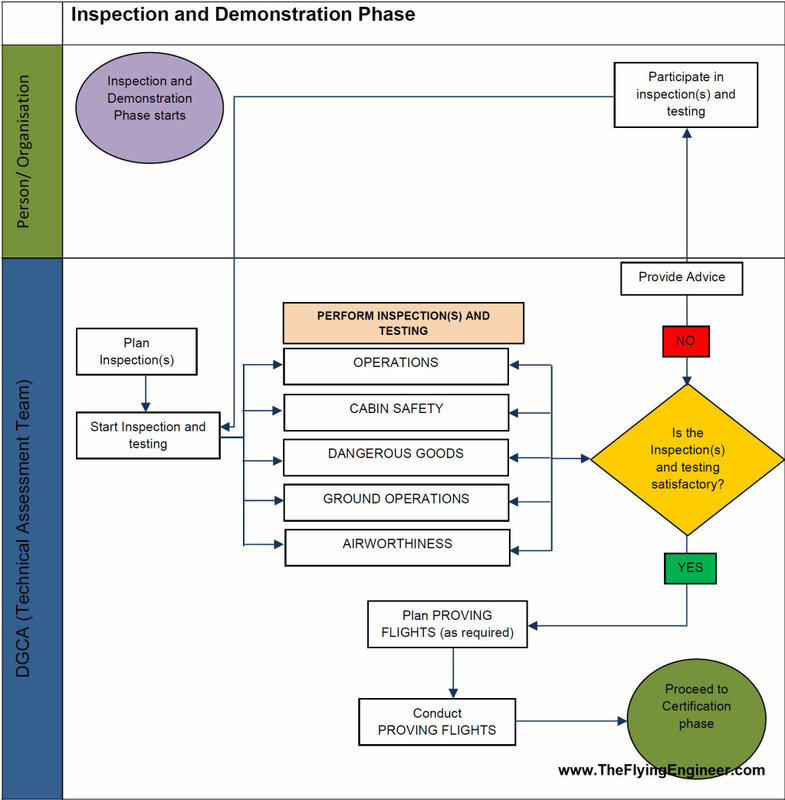 A proving flight is the last stage before the review and award of an Air Operator Certificate / Permit. AirAsia Japan took a year to start operations, after applying for the AOP. AirAsia India filed for its AOP on 6th October, 2013, and is expected to receive the permit by mid-November. On starting operations, Tony said, “I would anticipate maybe April or May next year (2014) but I don’t really know”. Going by AirAsia Japan’s timelines, Air Asia India may start operations no later than July 2014. Philippines AirAsia commenced operations almost 2 months after receiving its Air Operator’s Permit. In control of the venture, Tony is “confident we will make profits in the first year and change aviation”. So confident is Tony that, “I know when we go in, it would be great and change Indian aviation forever”. 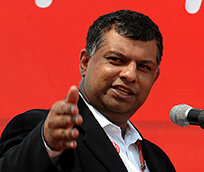 Although the team is sailing on choppy waters due to Tata’s decision to partner with Singapore Airlines to start an international airline, the outcome of a continued disagreement, which may witness Arun Bhatia buying out Tata’s stake, will not hamper operations and strategies of the airline due to the large share of Tony-controlled AirAsia Berhad. Arun Bhatia’s Telstra Tradeplace is neither an airline, nor was in the airline business, until now.